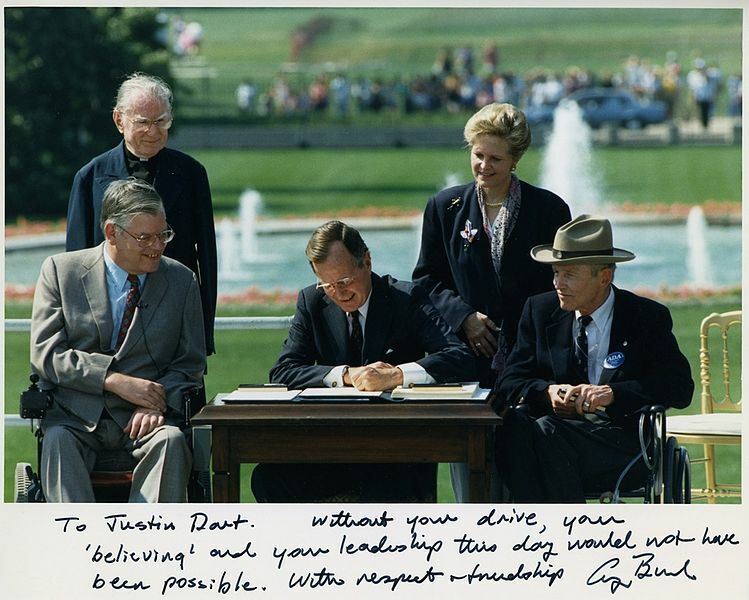 This photograph shows President George H. W. Bush signing the Americans with Disabilities Act (ADA) on July 26, 1990. With him on the South Lawn of the White House are (from left to right, sitting) Evan Kemp, Chairman of the Equal Employment Opportunity Commission, and Justin Dart, Chairman of the President’s Committee on Employment of People with Disabilities; and (left to right, standing) Rev. 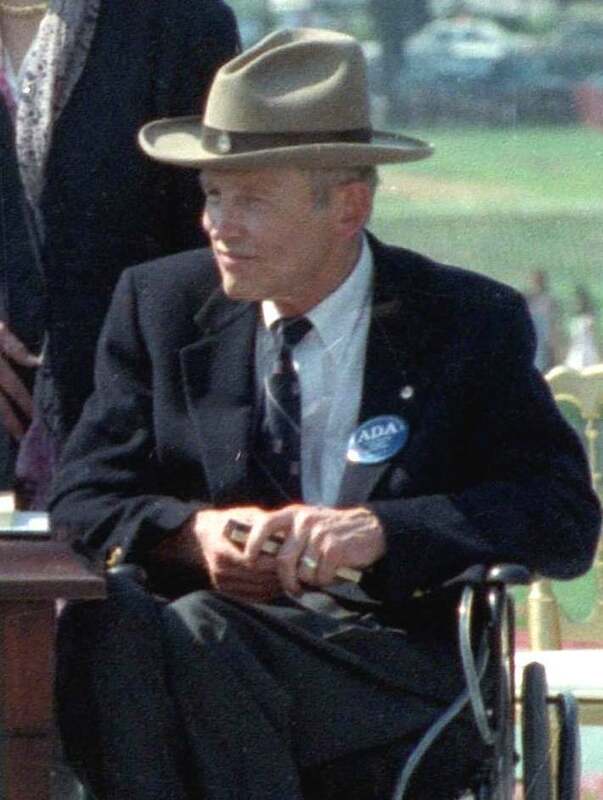 Harold Wilke and Swift Parrino, Chairperson, National Council on Disability. "To Justin Dart. Without your drive, your 'believing' and your leadership this day would not have been possible. With respect and friendship George Bush"